I would like to enter this card into the FSC current challenge "Nature". Nature is wonderful and takes on so many facets, I went with snow, ice, and penguins and made this into a Christmas theme. Thankyou for viewing my card, have a great day cheers to you all Judy. Wow, what a beautiful card. Very sweet the pinguins. This is super cute Judy! I loooove how you have used the penguins in such a fun way. Thanks for joining us at Fashionable Stamping Challenges. 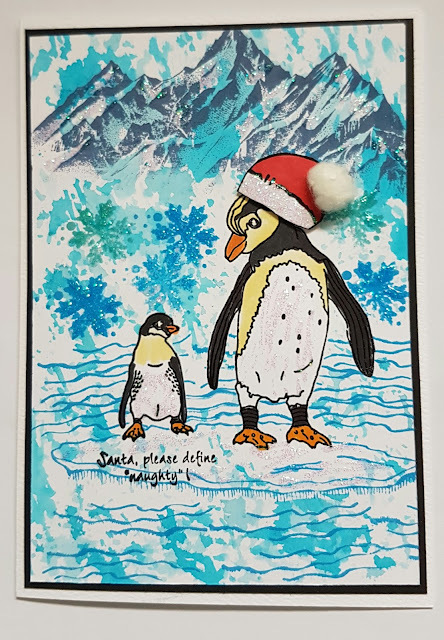 A fabulous card Judy, love the little scene you created for those Christmas penguins and the little quote is brilliant.